Materials like leather, jute and silk come from natural, living sources. As such, they age over time, gradually changing in appearance. you will not only be able to use them for an extended amount of time, but also they will fit you, and you will find yourself more and more attached to them. We can promise you that they will become some of your favorite belongings. 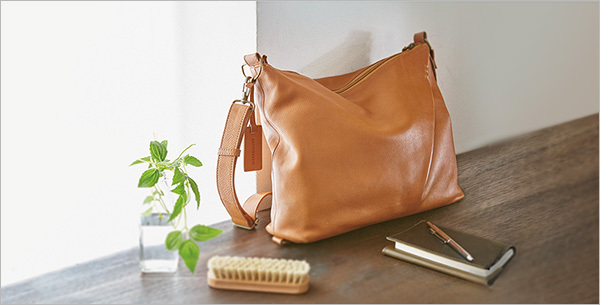 Prevention is the most effective care to keep your bag from stain and dirt. Protection cream will protect your bag from stains and dirt and keep allow sustainable usage. It is natural for scratches, stain and dirt to form in time. If you happen to find them, we have after care option available. Please feel free to contact us whenever you need. Remove marks and scratches from leather! Wash off dirt from the surface with soap. We also have care products you can use at home.